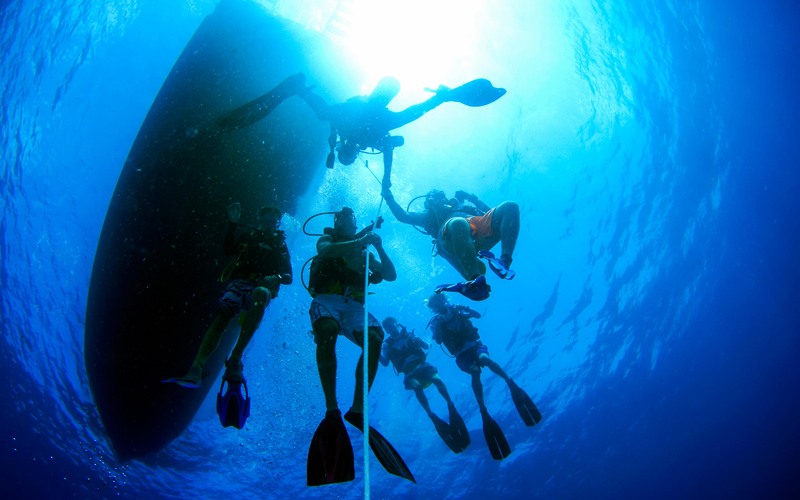 If you’re fascinated with life under water, enjoy meeting new people, and have the qualities to engage others and teach them new skills, consider becoming a dive professional. Here’s your chance to open the door to exploration and adventure for people of all ages while you do something you love every day. We can help you make it happen. 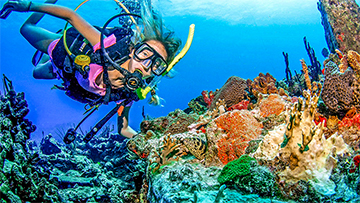 If you are 18 or older, you can pursue a professional level dive certification and earn your Divemaster (DM) certification from our PADI five-star dive shop. 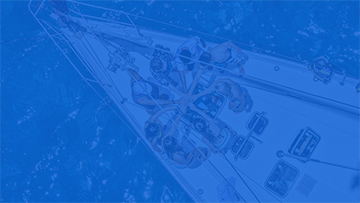 While in training for your Divemaster certification, you will live aboard a monohull yacht with the staff of the concurrently running Charlie 21-day Advanced Scuba adventure. You will be able to participate in some of the regular Charlie activities, but to a limited degree. 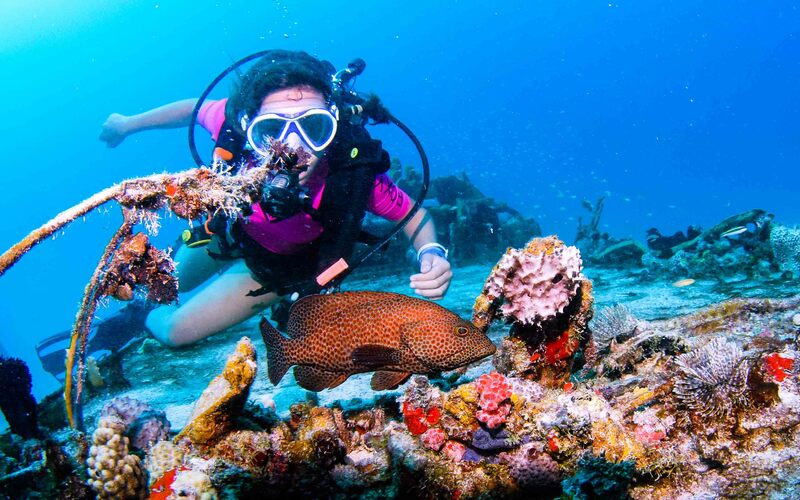 Enroll in PADI Assistant Instructor or the PADI Instructor Development Course (IDC). 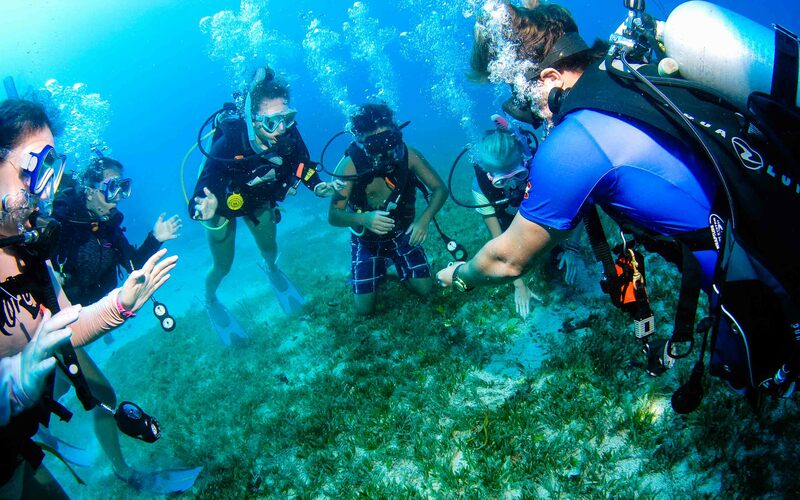 Contact Sail Caribbean Divers for course dates and enrollment information. Get acquainted with our beautiful home base; meet your Captain and everyone on your program. You’ll have your first boat meeting over a delicious dinner, and set the course for the rest of your adventures to come. Your captain leads you through some preparations and basic sailing lessons before you de-dock for a first sail across the Sir Francis Drake Channel. 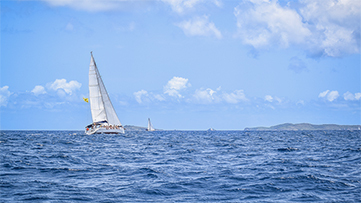 You become familiar with the boat, go over basic navigation, practice using the winches, and take a turn behind the helm as you head toward Cooper Island. 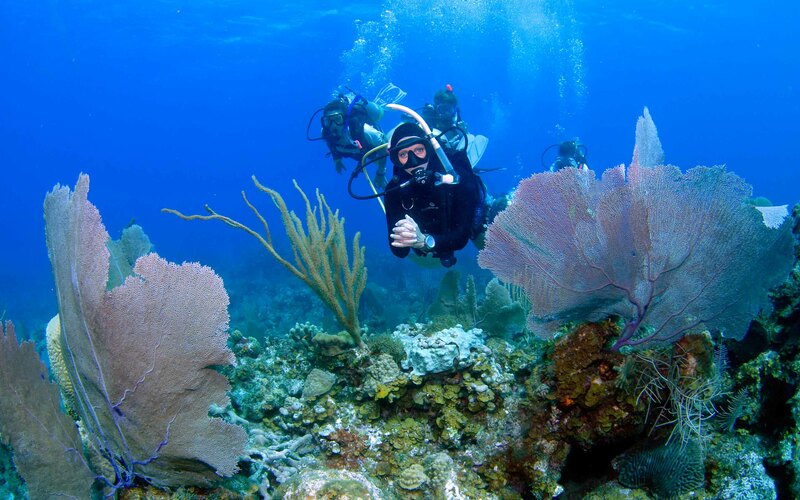 Manchioneel provides a mix of stunning coral as well as flat sandy patches to begin practicing advanced scuba skills. You and your dive group are in for an exciting trip as you complete your first dive on the Wreck of the Rhone. Dive on it again at night and see what a different world it is! Head to Nanny Cay for your first docking and celebrate with some shopping, beach volleyball, pool time and a nap on the beach. You and your crew will have to step up on Challenge Day! Your captain and mate are just along for the ride so you’ll look to each other for leadership and support. Enjoying all that The Bitter End has to offer: hiking, watersports, restaurants, and small boat sailing. Work towards specialties or Rescue Diver certifications. Let the festivities begin! 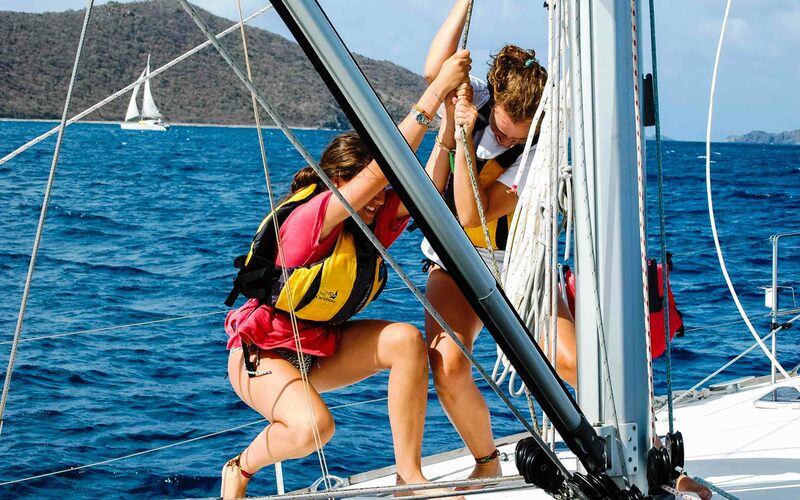 An endless stretch of beach is the sight of our Sail Caribbean Olympics. Events such as tug-o-war and dizzy-fender set the stage for a little friendly competition between boats. This day always proves to be full of laughter and memories. You’ll then head out to help out on a Dive Against Debris. 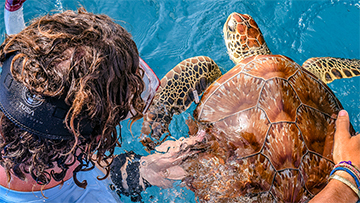 Learn about the life cycle of a sea turtle at Diamond Cay and check out one of their favorite hangouts. 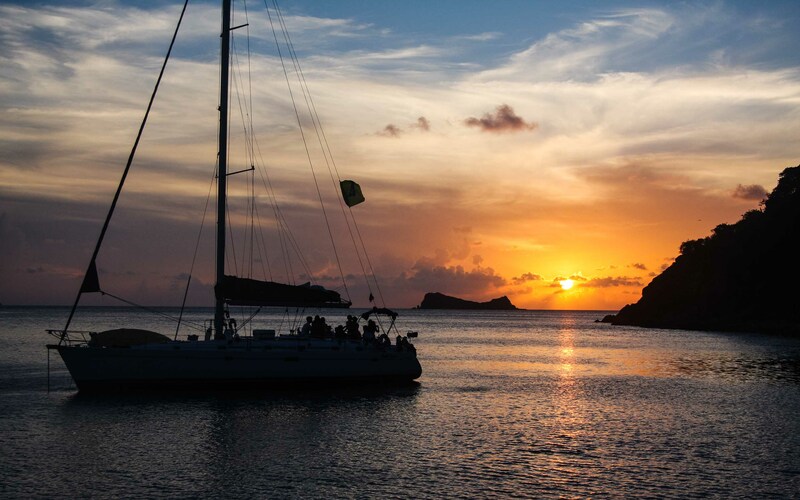 Join some other Sail Caribbean students at Trellis Bay for a Fireball Full Moon Party. 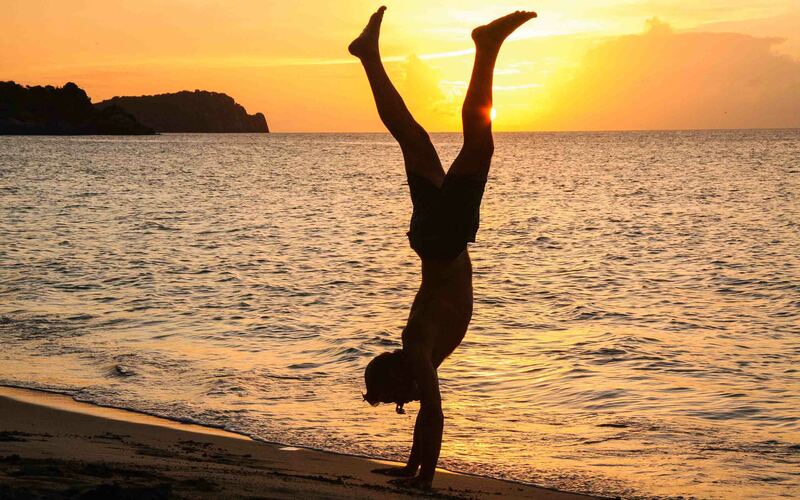 Before you head back to base, stop off at The Baths for a spectacular hike and snorkel. 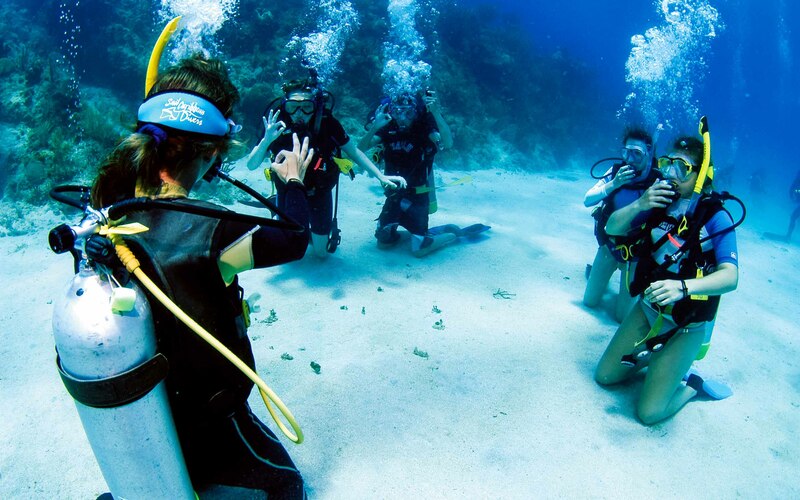 Fond farewells as you head back home, with airplane letters in hand, ready to tell your family about all of your amazing summer scuba adventures! 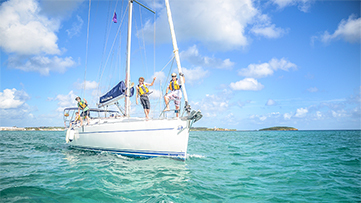 While in training for your Divemaster certification, you will live aboard a monohull yacht with the staff of the concurrently running Charlie Advanced Scuba adventure. You will be able to participate in some of the regular Charlie activities, but to a limited degree. 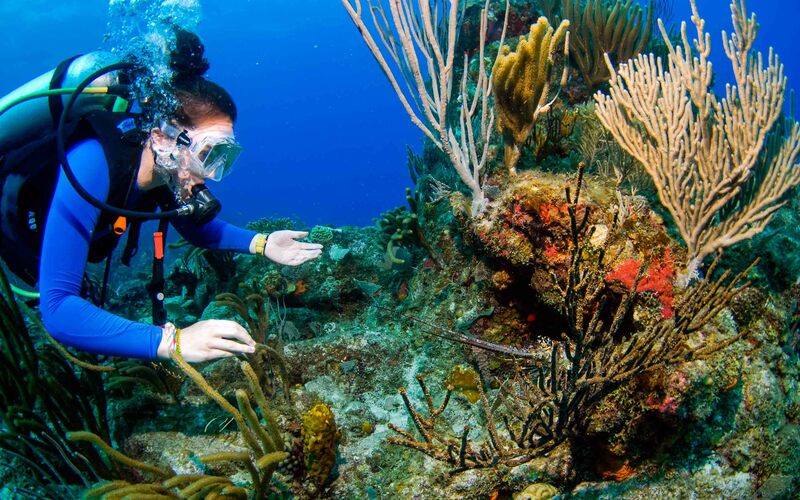 Newly certified Divemasters have the opportunity to join the Sail Caribbean Divers team in an internship position and build on their development as a dive professional. 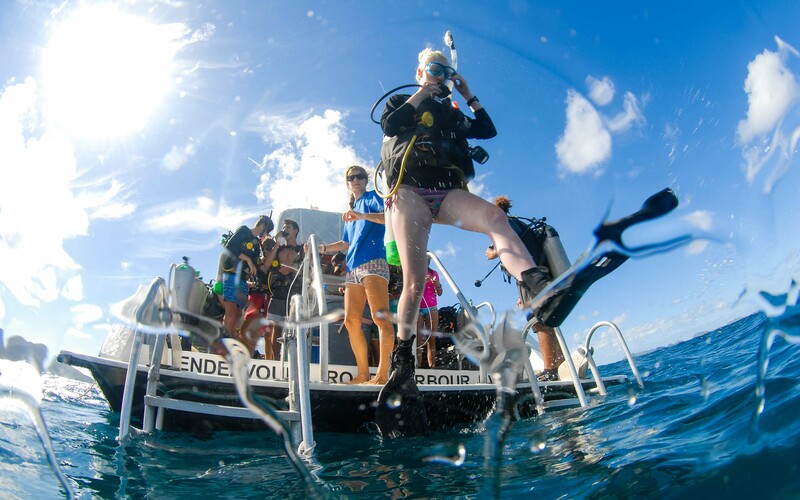 While living on the Charlie program’s staff boat, you will be directly assisting Sail Caribbean Divers staff with Open Water certifications, Discover Scuba sessions, and co-leading recreational dives. 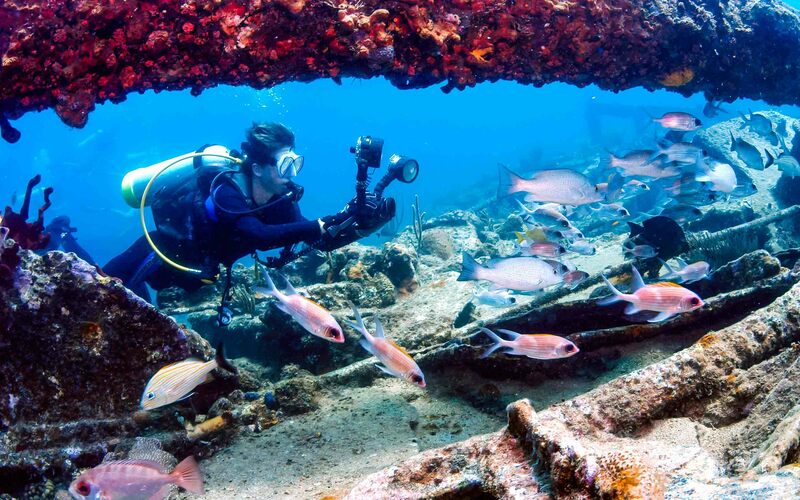 After the last Charlie program ends in August, Divemasters can join the Open Water Scuba Instructor certification course given at the Hodges Creek facility of Sail Caribbean Divers. Housing will be land-based. 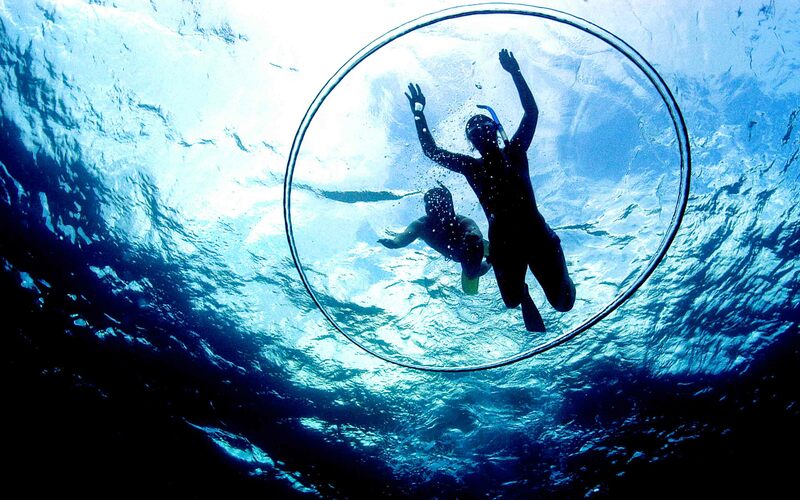 See sailcaribbeandivers.com or contact info@sailcaribbeandivers.com for OWSI course dates. 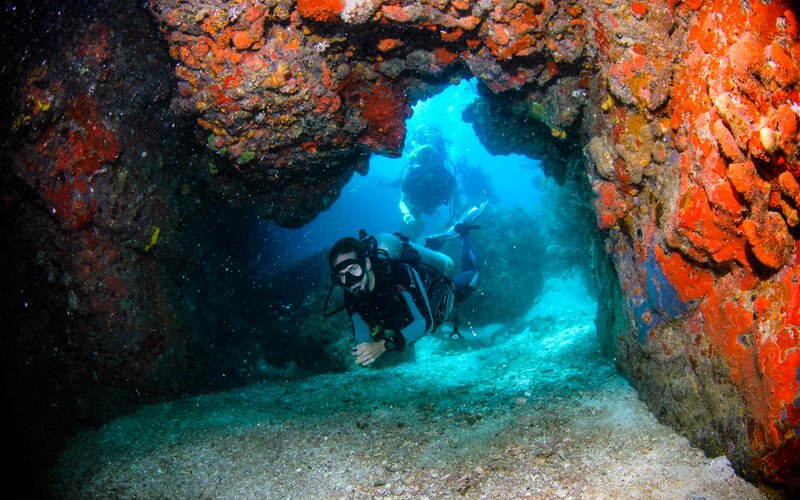 Where will I live during Divemaster training? 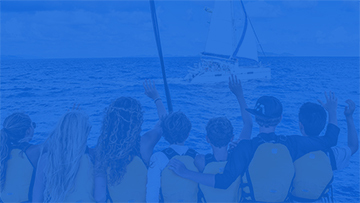 You will live aboard the staff boat, a monohull yacht, and sail with the fleet of the concurrently running Charlie Advanced Scuba adventure. When not in training, what will I be doing? 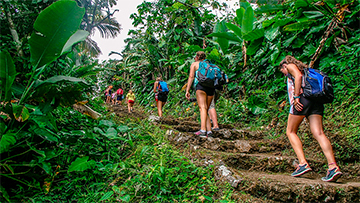 You will be living and traveling with the teen program and will be able to participate in some of the Charlie 21-day activities like watersports and island exploration, but to a limited degree. 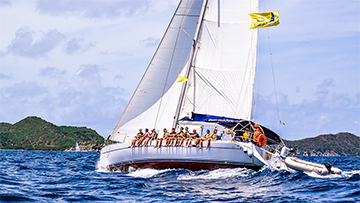 Who are the Sail Caribbean Dive Instructors?